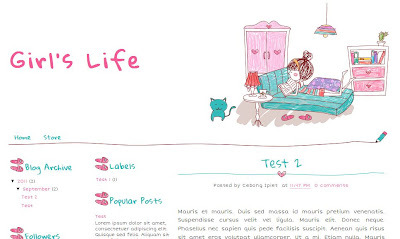 Girls life blogger template, the girl stuff doodle theme special for teenage girls blog. Usually teenager like to share her daily life story about life, love, friendship, heartbreak, etc. I choose doodle girl stuff as an illustration represent cheer and fun. I also choose fresh color of pink and blue. This theme so clean with no complicated background image. About the font, as usual, for girl and teen theme I always choose handwriting font, Short Stack and Gloria Hallelujah font. You also can edit it self by choosing from Google webfonts site. You are completed right. There is best way to represent it that this doodle. but there are also women that they write about recipes and crafting. hi, can you make it just for 2 coloumn please? LOVE IT! Not a teen, but it really appealed to me. Had zero probs so far with it. Please make more of these. Hi, I love this template, and set it on my blog, but I have a problem with it. It won’t show the SHARE BUTTONS. Is there a way to fix this? I checked to be sure the SHARE BUTTONS was checked off in PAGE ELEMENTS>BLOG POSTS, but they still aren't showing up. gimana cara instal biar bisa dipake di blog? hallo. well, i really like your template. but when i use it in my blog, it has wrong. Well,you can fix it? thanks. keep your passion in template! gimana cara terapi ke blog nya? How to make this template just 2 row?? sooo.. this is beautifull.. cute..
iya mbak yg ini error. sudah dicoba berulang2 tapi semua pada nggeser ke arah kiri. mbak yg ini error. sudah dicoba berulang2 tapi semua pada nggeser ke arah kiri. 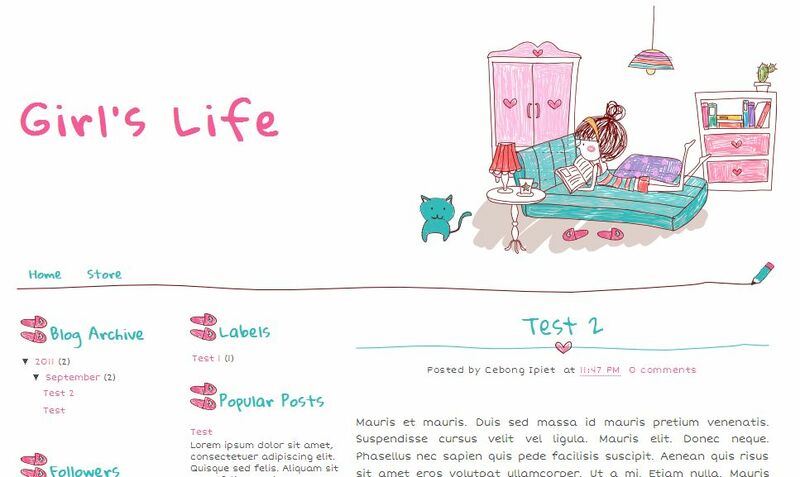 My daughter has just used this template on her blog. Thanks for providing such a great template! bagaimana cara membuat kolom komentar untuk setiap postingan di template blog ini?